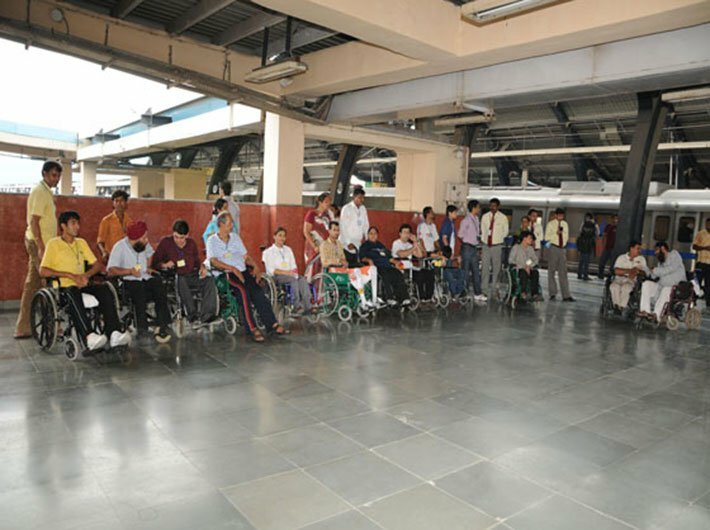 The right approach: Few establishments are as disabled-friendly as Delhi Metro even today. In the open market, such products are costly and beyond the reach of most. A fully motorised wheelchair can cost anywhere between '10,000 to '20,000. Mobile phones with the talk software for the blind are also expensive. “It is ironical to expect PwDs to spend a large amount of money for accessing day-to-day services considering the whole debate on disability is structured around poverty,” argues Gupta. There is some support though. Through the ‘assistance to disabled persons for purchase / fitting of aids and appliances’ (ADIP) scheme, the government provides a subsidy on the cost of aid and appliance for use by PwDs. The cost is fully reimbursed if the beneficiary’s monthly income is '6,500 or less. If it is more than that but below '10,000, there is 50 percent reimbursement.